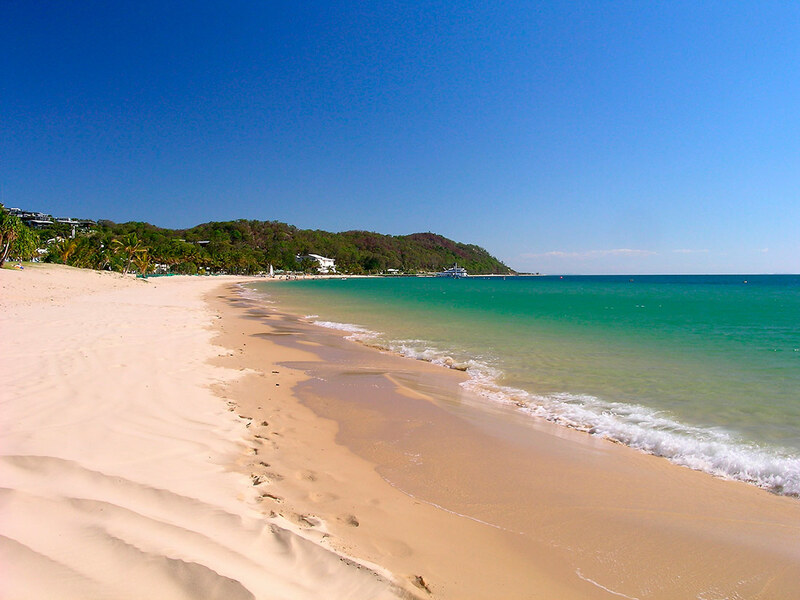 Coign 5 at Tangalooma, is superb. 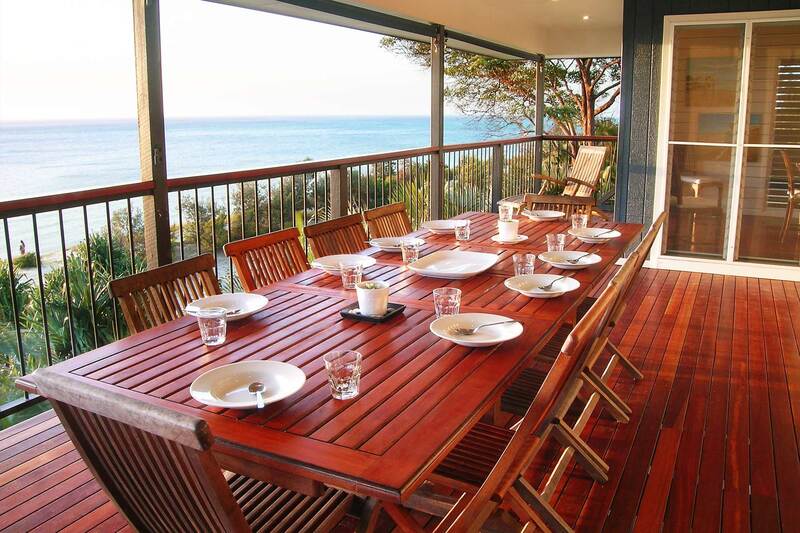 It's a large, open and airy house with expansive living areas and decks providing spectacular views across the beach to Moreton Bay where the vistas from Brisbane to the Sunshine Coast will entrance you. Coign 5 can easily accommodate two families yet can also provide an intimate escape for two. There are two spacious living rooms enabling adults and children to have separate spaces for tv viewing or entertaining when the need arises. 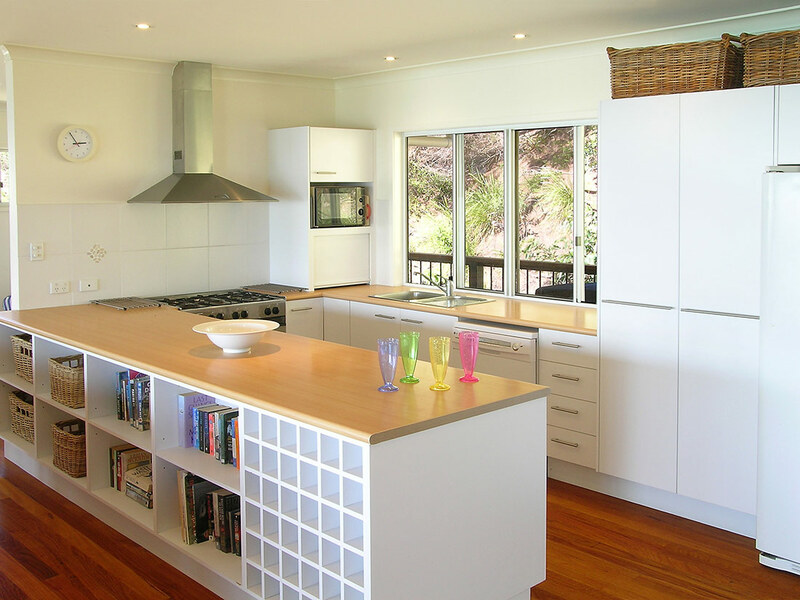 The fully equipped kitchen also enjoys views across the beach and the bay. It is a cook’s dream, complete with a large European restaurant style gas oven, dishwasher, loads of storage space, huge worktops, a pantry and large fridge/freezer. A BBQ is located conveniently on the deck at the rear of the kitchen. All bedrooms overlook the beach, while the large master bedroom has an ensuite with bath, separate glassed shower and double vanities. Two further bathrooms guarantee that all guests are fully catered for. Peak Premium rates apply over the Christmas New Year period and Easter – $850 per night, minimum six nights with full linen & towels included. Please note: Conditions apply to all bookings – see below. Additional permanent features: BBQ; fully insect screened; fans throughout; colour TVs, DVD/CD players. Some DVDs & CDs are available for guest use. Some books & magazines are also available for guest use. Portacot, highchair & child-gate provided. 2 Extra trundle beds can be supplied, POA. All periods not covered by peak rates. $850.00 per night. Min 6 nights. Easter weekend: $850 per night, includes Good Friday, Easter Saturday, Easter Sundary & Easter Monday – Booking to include these days, plus 2 normal peak rates of $700/night. 35% deposit on booking . 3 nights minimum unless owners agree to lesser stays at rate to be quoted.Linen & towels included in rates quoted on website. Rates are subject to change without notice. No smoking is allowed .Pets prohibited on Moreton Island by law . Payment by credit card is accepted.. It's coming…and December and January are filling fast. We have a few days here and there, so if you have just a few days for a summer break, email us and we'll see if we can find dates that might suit you. Or come over now, the weather is warming up, and the beach is beautiful. “Just wanted to say a massive thank you for renting your house to us…. We had the most beautiful time and my daughter said it was the best birthday ever…. “I just wanted to let you know we had such a magical time staying at your house. Everything was just perfect and we appreciate it!